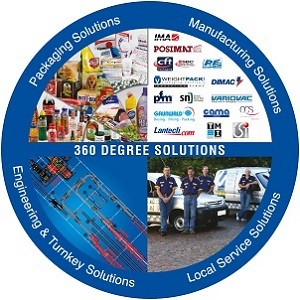 Leading Packaging Company in South Africa - Your Partner for Packaging Solutions. USS Pactech has been supplying and servicing packaging equipment to the pharmaceutical, food and beverage industry since 1983. The company has its head office in Bryanston, Johannesburg with branch offices located in Durban, Cape Town and Port Elizabeth. We represent a number of reputable overseas packaging equipment suppliers. We import packaging equipment and also manufacture packaging equipment locally. We are able to supply cost effective packaging solutions in terms of price, quality and service. We have a competent and experienced after sales and technical support team that offers complete packaging service solutions. Our success is based on a formidable track record of successful installations with almost every large and Multi-National company in South Africa.